Anyone who visited the Paris Motor Show last month may think such a future is inevitable. There, as many as two dozen new electric cars were announced—with many on sale as soon as next year, and most available by 2020. Proclamations by BMW suggest that electric cars could make up as much as 25 percent of its sales—that’s in the region of 500,000 cars per year—within the next 10 years. The ability to create mass-market electric cars—a trend arguably jump-started by Elon Musk and his vision for the forthcoming Tesla Model 3, even if it is now facing increasing competition—is facilitated in part by the swiftly falling price of lithium-ion batteries. Prices have fallen by 65 percent since 2010, and look set to halve again in the next ten years. But despite such optimism, the widespread adoption of electric vehicles will still require aggressive policy decisions. The Bloomberg-McKinsey report suggests that a purely consumer-driven adoption of electric vehicles could lag a regulatory-driven approach by somewhere between five to seven years. The EU is already setting a strong example of the kind of changes that will be required. 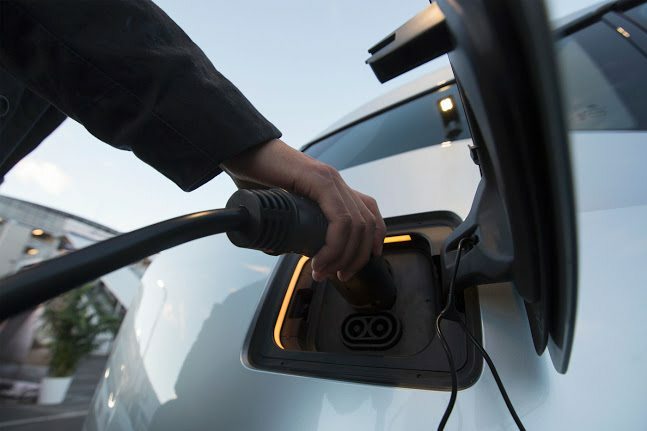 The Guardian reports that a new draft EU directive, expected to be enacted in 2019, will demand that every new or refurbished house in Europe will have to have a charging point for an electric vehicle. Another regulation, expected to be published before the end of the year, will demand that at least 10 percent of parking spaces in new buildings will also require a charging point. Earlier this week Germany’s federal council, the Bundesrat, passed a resolution to ban the internal combustion engine by 2030 across the EU. The vote doesn’t carry much weight in isolation, because it’s up to the EU itself to make such a decision, but it does send a very clear message of intent from the German government. And, as Forbes notes, Germany has historically had significant influence over EU law-making. Such regulations may yet spark the rapid proliferation of electric vehicles, but other countries and cities will have to follow an early EU regulatory lead.